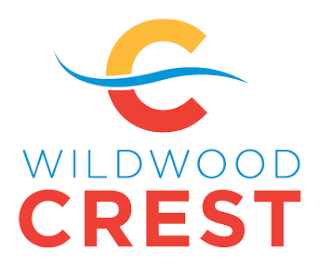 WILDWOOD CREST – The Borough of Wildwood Crest has recently been issued an excellent Aa3 rating by Moody’s Investor Service in its most recent report of the borough’s finances. In the report issued Dec. 22, Moody’s rated Wildwood Crest’s financial position as robust, its credit overview as good, its economy and tax base as very healthy, and its debt and pensions liabilities as manageable. The Moody’s report also cited Wildwood Crest as having “a very strong financial position, a healthy socioeconomic profile and a solid tax base.” It also stated that Wildwood Crest’s adjusted net pension liability compared to operating revenues is favorably under the U.S. median. “This excellent report from Moody’s is a direct reflection of the strong work done on a daily basis by the dedicated staff of the borough, in particular the finance department led by our CFO Alicia Belansen,” said Wildwood Crest mayor Don Cabrera. Moody’s Investors Service is the bond credit rating of Moody’s Corporation. It provides worldwide financial research on bonds issued by commercial and government entities. Moody’s is considered one of the “Big Three” credit rating agencies along with Standard & Poor’s and Fitch Group. For more information, call 609-522-5176.